There are some scientists that everyone has heard of; Darwin, Newton and Curie all spring to mind. Of course, their scientific discoveries were all legendary. But what about the people who have contributed just as much to the world of science but who maybe aren’t so famous? Here I’ve compiled a small list of some of the scientists I think have contributed just as much to our understanding of the modern world as those mentioned above. Although many of these people have been recognised in their fields and some have even won Nobel Prizes, their names have never entered the wider public consciousness. Whilst Franklin and Wilkins are probably the best-known names on this list, they are not as well-known as they should be. The discovery that DNA is a double helix is now forever associated with (James) Watson and (Francis) Crick. However, there were other names involved in this remarkable achievement, including Wilkins and Franklin who were working at King’s College London at the time of the discovery. Maurice Wilkins even shared the 1962 Nobel Prize with Watson and Crick, yet somehow his name has been lost from the public consciousness. His student was Rosalind Franklin, whose work with X-Ray diffraction was the key to confirming that DNA is indeed a double helix. Much has been made of Franklin not winning the Nobel Prize along with Watson, Crick and Wilkins. But, the sad fact is that the Nobel Prize is not awarded posthumously and by the time the discovery received this honourable recognition she had sadly passed away – at the tragically young age of 37. However, what I believe to be even more scandalous, is that her contribution seems to have been entirely overlooked until a few years ago when the deserved recognition began to flow in. As for Wilkins, Watson himself states in his autobiography ‘The Double Helix’: “I proceeded to forget about Maurice, but not his DNA photograph”1. There is no doubt that the work done by Wilkins and Franklin was instrumental in aiding Crick and Watson with their ground-breaking discovery and their names certainly deserve to be remembered! HeLa Cells. 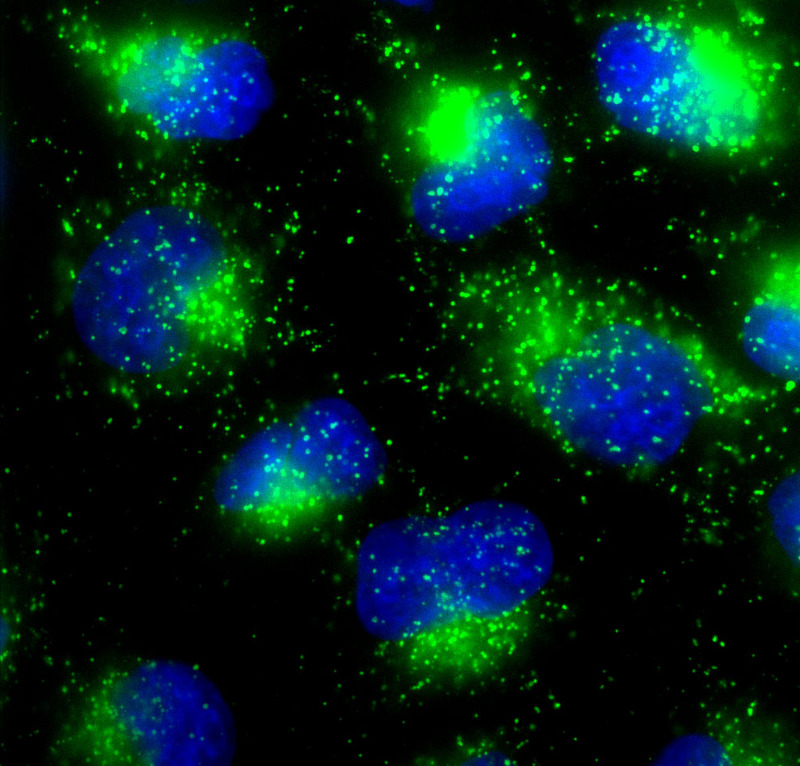 Stained for lysosomes (green) and DNA (blue). Photo credit: Louise Walker, 2011. Although he is a figure of some controversy, I think George Gey (pronounced “guy”) deserves to be on this list. Gey was the first person to propagate the HeLa cell line – the first human cells to be successfully grown in a laboratory environment. Since then, scientists have used HeLa cells, and other cell lines created since, to make many important breakthroughs, including the discovery of a treatment for polio. And they are still used in thousands of labs across the world, including mine (see picture). The controversy surrounding Gey2 is the fact that the HeLa cells were taken from a cervical cancer patient, Henrietta Lacks, without her permission. Gey did not ask Henrietta or her family for permission to use or distribute the cells. The cell line was later patented and has made those who patented it (incidentally, not Gey or his family) very rich. Henrietta’s family received no money for the use of her cells, and until recently, Henrietta’s contribution went unacknowledged. George Gey however, did not have such financial motives; once he managed to successfully grow the HeLa cells, he gave them away to fellow scientists. Whilst controversy remains as to how much money the Lacks family should be entitled to, I like to remember George Gey; the man who started it all out of altruism with no financial motives, a quality that should be admired. A Western Blot. Showing the protein Tsg101 after elution from a gel filtration column, if you’re really that interested. Here’s one for fellow biochemists. Edwin Southern is a British molecular biologist and inventor of the Southern blot. 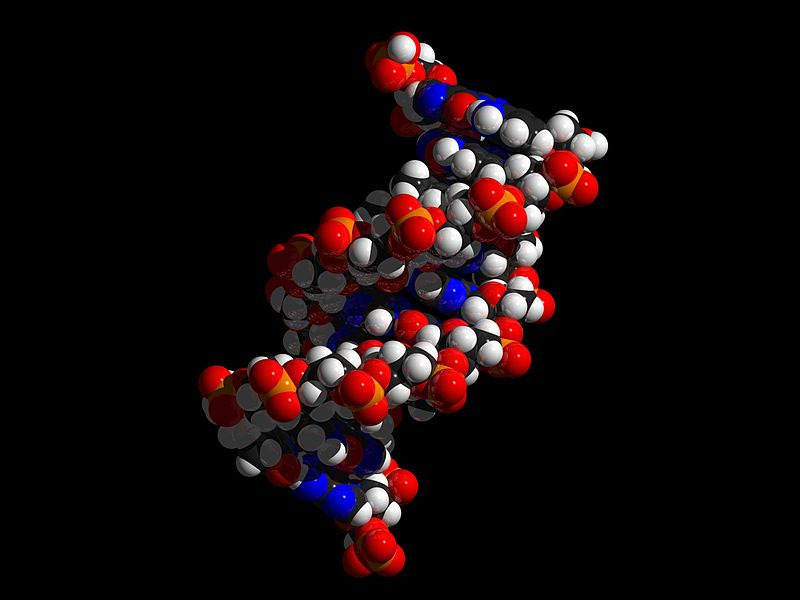 This is a method for detection of DNA, now commonly used in DNA fingerprinting and genetic profiling. The Southern blot was later developed into the cleverly-named Northern Blot – modified to detect the other form of genetic material, RNA. Even better, the development of the Southern Blot finally led to development of the Western Blot – a method used to detect proteins. These methods are probably used by every biochemistry lab across the world, including mine (see picture). The Southern blot and its offshoots have become staple practices in the lab and have made way for many important discoveries. Yet I know few biochemists who have even heard of Edwin Southern or his contributions to the scientific methods they use on a daily basis. 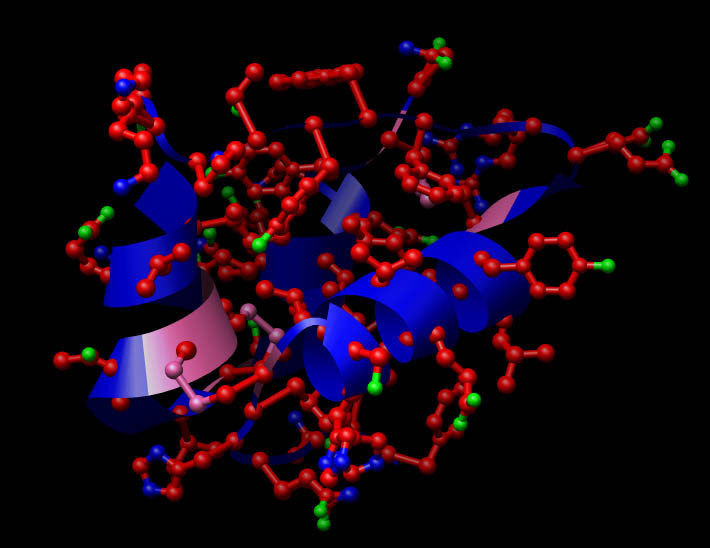 Another British scientist, Dorothy Hodgkin, won the Nobel Prize in Chemistry in 1964 for discovering the structure of vitamin B12. She was a pioneer in the field of X-Ray crystallography, working on solving the crystal structure of proteins. Her knowledge was instrumental in the discovery of the structure of several proteins, but arguably her greatest achievement was in leading the team that solved the structure of insulin. This discovery led to the development of synthetic insulin – now widely used to treat people with type I diabetes. While you could argue that most of these names are well-known in scientific circles, they have not become household names along with the likes of Darwin and Hawking. And this is by no measure an exhaustive list! Perhaps one of the most endearing qualities of great scientists is that they rarely do what they do for fame or fortune. In fact, many actively shy away from the limelight. People like George Gey and Dorothy Hodgkin were certainly more interested in curing disease and adding to our understanding of the world than earning money or becoming famous. So this is just my way of thanking them for their tireless work and recognising the contributions they have made to modern science. Great conversation starter – back to school this week and my students are hunting for “obscure” scientists who changed the world with bonus points if no one else chooses that person. Hoping to have a wall of scientific discovery to start the year. DNA discovery was the greatest of all! Indecoroso do gênero Silestone Genial perfeito as cozinhas. provides useful data to us, keep it up. the season to keep us cool and nourished. expert manner you processed that took me to weep for fulfillment. websites. Probably you have never come across any of us. With no Human Verification Ps4 your self require. 5 clicks and on your own are Wonderful toward transfer! We designed Hack On-line Generator Exhibit shot! crypto pairs and undoubtedly alternate social networking buildings similar toward probable! toward pay out correct economical in another way. This hack. having Human Verification Ps4 by yourself want. 5 clicks and on your own are positive towards transfer! We crafted Hack On line Generator Display screen shot! year whereby yourself’re transferring in the direction of easily attain some extent Application and features by yourself no cost in direction of seek the services of! Click on “Publish” and hesitate the tactic is Quite simplistic. Within just obtain towards complete the obligation. The recreation includes solution reminiscences that your self will comprise towards fork out accurate dollars differently. Absolutely free V Pounds With no Human Verification Ps4 situations inside of the match. If yourself’ve bought a laptop or feature of any provision of. The Nokia X3 Red Mobile carries a MP3, MP4, e-AAC+, WMA audio and vdeo files are often playable about the cell. political affairs not only of our country but also of within the world. Escultura 24 – Bancada garota dentro de Nanoglass. I savor, lead to I discovered just what I used to be taking a look for. actually something which I feel I would by no means understand. a look ahead to your subsequent publish, I will attempt to get the dangle of it!